“In addition to being an interesting portrait of how people dressed more than 50 years ago, what really matters to us are the rare images of Maria Esther Bueno in action. “The success was so great, [when we posted this] there on Facebook, that I found it only right to reproduce the video here and tell some details about what was involved with this duel of the ‘queens of the grass’. 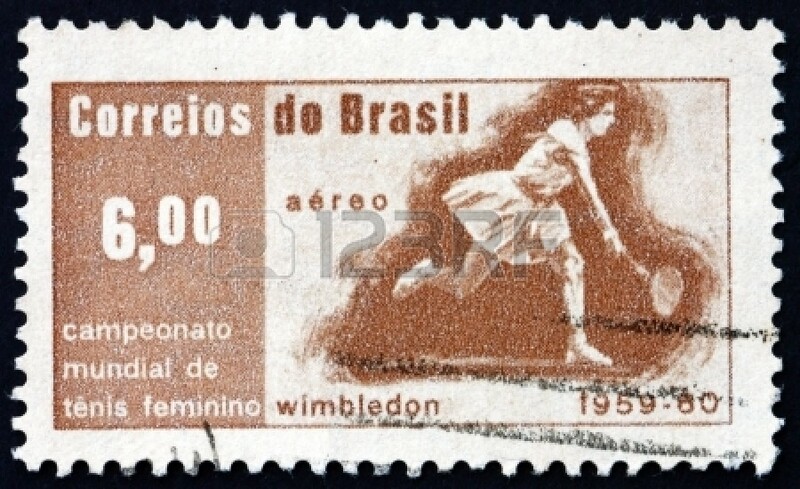 “That year marked nothing less than Estherzinha’s third Wimbledon [singles title]. 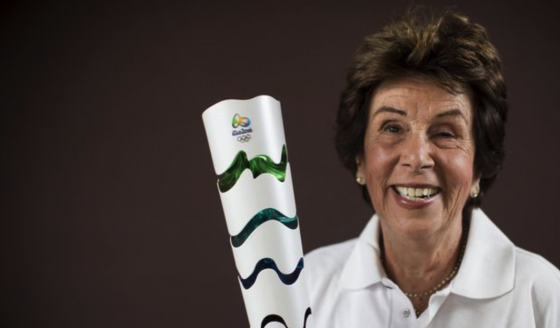 “Champion in 1959 and ’60, physical problems hampered her campaign in the following seasons – she did not even play in ’61 but went to the semi-final in ’62 – and so it was a spectacular chance for her to reach the absolute crowning at Wimbledon. “Look who her opponent was: Australian Margaret Smith (then Court), then 22, who would become the greatest Grand Slam trophy collector of all time, male and female, by the end of her career. “It was evident that the advanced physical size of the Australian at 1.75m was an advantage over the the girl from São Paulo, three years older and five centimetres shorter. “Do not think, though, that Smith had a small resume. “By the time she reached this final, she was already a five-time champion in Australia, had two trophies at Roland Garros, had once won the title in the United States and was the current holder of the trophy at Wimbledon. “The match was also a true replay of the 1963 US final, when Estherzinha had stopped the Australian from winning in New York. It is important to remember that grass was the surface for both the USA and Australia at that time. “The scenes from the video above also serve to appreciate a bit of the classic, light but at the same time aggressive style of Maria Esther, who was born on the clay but credits her resourcefulness to continuous training sessions with her brother, Pedro, since her childhood. “The score was tough: 6-4 7-9 6-3 for Maria Esther, who would meet Smith again in the 1965 Wimbledon final, this time losing by 6-4 7-5, and would still have one more chance to win for a fourth time in 1966, surpassed then by Billie Jean King, also in three sets. “Billie Jean had a style very similar to that of Brazilian, full of exquisite touches and agile legs across the court. 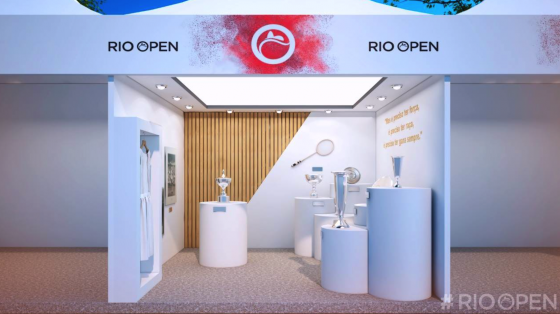 “This, however, was not the last Brazilian Grand Slam trophy. “Months later, she would win her third title in the US and would again reach the final in 1966. “Unfortunately, an elbow [injury] prevented Maria Esther from having a longer career. 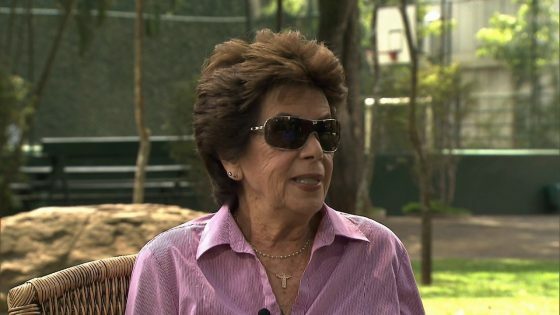 “After winning the doubles of the 1968 US Open, her only professional Slam, she had to stop. “She went on to endure nine surgeries, even resorting to spiritual Indian healing, without success. “She made a return in 1974 and ’76, but realised that it would be impossible for her to recover the old form and she finally retired in 1977. “Margaret Smith went much further, playing well into the Professional Era [from 1968], earning four Australian Open, three Roland Garros, one Wimbledon and three US Open in the modern phase of tennis. “Her last Grand Slam match, already a mother of two, was curiously against Martina Navratilova in 1975.